Come enjoy a "Magical Masquerade" evening! Student tickets $40,on sale now! Dinner included. Military Ball theme this year is Masquerade Magic! 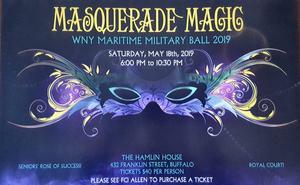 This year's Military Ball will be Saturday, May 18th, from 6-10:30pm at the Hamlin House on Franklin St. More details to follow soon from Ms. Dollard. 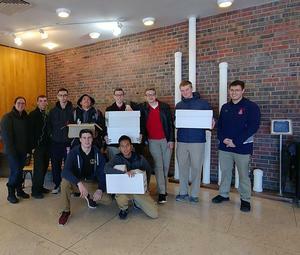 Good food and good news coming from Maritime's Mess Hall! Girls ages 14 and up. Please read and register if you are interested in this informative workshop to the raise awareness of teen dating violence. This event is FREE and sponsored by the Family Justice Center. To register, TEXT “Lashbash” to 716-219-0077 or to to www.amyschule.com. Both buildings closed due to weather Friday 2/1/19. Due to continuing inclement weather, Maritime will be closed Friday 2/1/19. Maritime is happy to announce our new Alumni Page. If you attended Maritime and would like to allow other former students to contact you, please fill in the registration page under Our School - Alumni Directory. We would like to see this become a wonderful networking tool for you.